Superior Building Cleaning Ltd provides commercial business, construction site and office cleaning services across all of Edmonton. For your convenience, we are able to provide regular cleaning and building maintenance both day and at night to best suit your needs and your schedule. Some of our most recently completed projects are featured in our gallery section so you can see the work we are so proud of. Since 1981, it has been our mission to serve the cleaning needs of property managers, regardless of whether your project is large or small, complex or simple! Messes are inevitable, especially in public places. There’s a standard of cleanliness you want to maintain in your workplace, retail space, or building. This is especially true for those spaces that are public facing. You want to ensure a level of professionalism and hygiene in those spaces in order to not scare your customers or clients away, which will result in a loss of business and possibly loss of reputation. 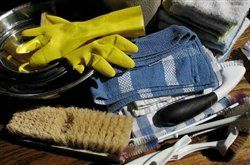 For a free estimate on our office cleaning services in Edmonton, call Superior Building Cleaning Ltd today! The safety of our staff, your team, and property staff is always of the utmost importance to us. That is why we make sure our team is always bonded, insured, and certified by WHMIS. We also use our own personal protective equipment (PPE) and fall protection whenever the situation warrants protective gear.